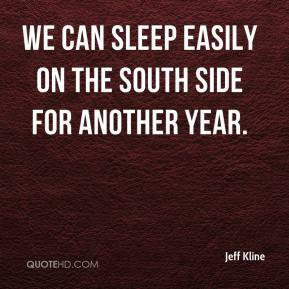 We can sleep easily on the south side for another year. 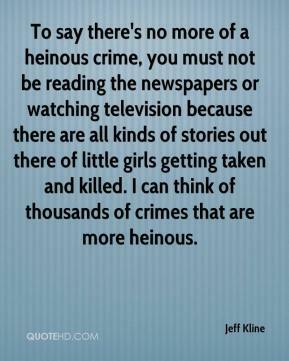 To say there's no more of a heinous crime, you must not be reading the newspapers or watching television because there are all kinds of stories out there of little girls getting taken and killed. I can think of thousands of crimes that are more heinous. We expect every sport to be at state and win a state championship. We demand more out of each other. 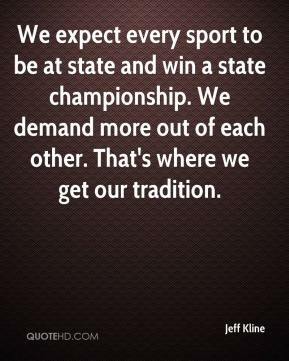 That's where we get our tradition.